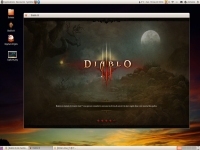 Diablo III - Unterstützte Software - PlayOnLinux - Run your Windows applications on Linux easily! AUTHOR="RavonTUS, SomeGuy42 and the POL Community"
POL_SetupWindow_presentation "$TITLE" "$EDITOR" "$EDITOR_URL" "$AUTHOR" "$PREFIX"
POL_SetupWindow_message "$(eval_gettext 'NOTICE: This will install the Blizzard application first and configure the settings for Diablo 3. ')\n\n$(eval_gettext 'The Blizzard app install may take longer than expected to continue to the next window, but it works in most cases. For example if it appears not to continue at the Installation Location window, wait a couple minutes and try clicking the Continue button again.')" POL_Debug_Message "Downloading Install File -------------"
POL_Debug_Message "Creating Wine Install ------------------------"
POL_Debug_Message "Setting Wine Variables -----------------------"
# Updated Overrides, many of wine's dlls are up to spec now and diablo has even removed some of their own. POL_Debug_Message "Running Install File -------------------------"
POL_Shortcut "Battle.net Launcher.exe"  "$TITLE" "" "" "Game"
POL_SetupWindow_message "$(eval_gettext 'Blizzard application Installation Complete')\n\n$(eval_gettext 'IMPORTANT: Login to the Blizzard app by using the email and password entries near the bottom of the login window, not the nice looking ones near the top. You may also want to check the box for Keep Me Always Loged In. Then login to Blizzard and install the Diablo III game files.')" Stopped working for me yesterday, 22 Feb 2018, after a minor patch to Diablo 3. The launcher runs, but the game does not start. After I tried reinstalling the whole thing in PlayOnLinux, I can't log in with to the Battle.net Launcher. Some error pops up "The program Battle.net Helper.exe has encountered as serious problem and needs to close." and I can't log in. Same issue on Ubuntu 16.04 LTS. Changing wine version to 2.21-staging works, but performance is degraded. Dont working.Somebody help me pls. Have you tried with POL 4.3.4? Have you guys tryied to install (I'm on SparkyLinux, Debian Testing) wine32 package? I was having problems until I installed this to the system. Let me be clear: I had it working, than reinstalled linux saving the playonlinux folder to a tar. After reinstalling all software (except for wine32 package), clicked at repair drive inside configure of virtual machine. Did not launched. than tried to install, no success. Than i remembered heaving installed all wine packages 64 and 32 bit at the other installation, so I proceed to installing wine32 first, than it magically worked. After all that i restored only my backup of the virtual drive and simply create a shortcut to Battlenet-whatever-launcher.exe. After all that I changed to wine 2.21 staging, repaired the virtual drive again and it run. First of all, thank you for contributing with this project and this script in particular. Sadly, it seems that I can't install Diablo 3 nor Battle.Net. It loops infinitly at Virtual Drive creation, a folder called DiabloIII_32 with 967 items, totalling 20.3 MB. It doesn't increase the number of items, nor the size, even after 3+ hours, that's why I suppose it doesn't advance on the install. Is it possible that the Wine version is too old? It's the 2.5-staging, while the latest, at the moment, is 2.21. I wonder if the problem is also that I use Fedora 27 AMD64, while the installer uses x86, don't know. I've also installed the NVIDIA 32-bit compatibility libraries while installing the driver, just in case is needed. AMD FX(tm)-8350 Eight-Core Processor, stock version, no overclock or any hardware/software modification. declare -x POL_WGET="env LD_LIBRARY_PATH=\"/home/famastefano/vulkan/VulkanSDK/1.0.65.0/x86_64/lib:\" wget --prefer-family=IPv4 -q"
11/22/17 16:11:49 - [POL_Download] Warning: MD5 is missing! Warning! 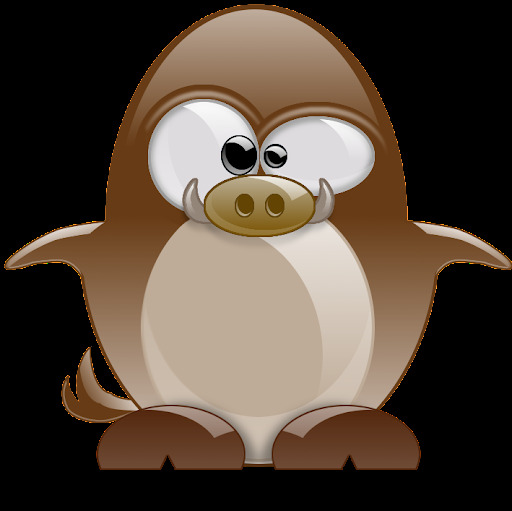 PlayOnLinux is using a modified wine version (2.5-staging). Do not file bugs, AppDB test reports, or ask for help on the WineHQ website for any applications or games that are run using this version. could you do ps -ef|grep wine while it is creating virtual disk? if you're in a 64 bit linux, try installing the wine32 package.. I have the same issue. Any resolution? It used to work fine. Hi! Any admins looking at this? How does one even go about debugging? I don't mind helping fix it. I just don't even know where to start. Latest installer works fine however i have probems with mouse. wine.2-20-staging: there's a big lag on click and hover something, completly unusable. wine.2.5-staging: mouse seems to be working fine however holding button doesnt work sometimes, looks like every second click works with holding. any1 know a solution? 1) What you describe, click+hold sometimes deactivates. I workaround this by binding the "force move" to a key. 2) The mouse graphic will stop following the mouse. I haven't found a way to workaround this, or get it to return to normal after it's entered this behavior. Has something to do with changing/loading new areas when it happens. for issue with mouse try non staging version, i'm using 2.20 now and mouse works fine, however launcher after 30 sec crash with an error but if you click launch game fast it starts well after crash. -POL_SetupWindow_message "$(eval_gettext 'Blizzard application Installation Complete')\n\n$(eval_gettext 'IMPORTANT: Login to the Blizzard app by using the email and password entries near the bottom of the login window, not the nice looking ones near the top. You may also want to check the box for Keep Me Always Loged In. Then login to Blizzard and install the Diablo III game files.')" +POL_SetupWindow_message "$(eval_gettext 'Blizzard application Installation Complete')\n\n$(eval_gettext 'IMPORTANT: Login to the Blizzard app by using the email and password entries near the bottom of the login window, not the nice looking ones near the top. You may also want to check the box for Keep Me Always Loged In. Then login to Blizzard and install the Diablo III game files. IMPORTANT: You may have to go to settings and disable browser acceleration, this often fixes display issues.')" POL_SetupWindow_message "$(eval_gettext 'Blizzard application Installation Complete')\n\n$(eval_gettext 'IMPORTANT: Login to the Blizzard app by using the email and password entries near the bottom of the login window, not the nice looking ones near the top. You may also want to check the box for Keep Me Always Loged In. Then login to Blizzard and install the Diablo III game files. IMPORTANT: You may have to go to settings and disable browser acceleration, this often fixes display issues.')" The only change here is a message. I've found that disabling "Browser Acceleration" in the settings tends to help with client display bugs that sometimes prevent games from launching / installing. Hi, this is an update to fix a Blizzard App display bug and to stay current with wine. -AUTHOR="RavonTUS, SomeGuy42 and the POL Community"
+AUTHOR="SomeGuy42, RavonTUS, and the POL Community"
-POL_SetupWindow_message "$(eval_gettext 'NOTICE: This will install the Blizzard application first and configure the settings for Diablo 3. ')\n\n$(eval_gettext 'The Blizzard app install may take longer than expected to continue to the next window, but it works in most cases. For example if it appears not to continue at the Installation Location window, wait a couple minutes and try clicking the Continue button again.')" +POL_SetupWindow_message "$(eval_gettext 'NOTICE: This will install the Blizzard application first and configure the settings for Diablo 3.')" +POL_SetupWindow_message "$(eval_gettext 'Blizzard application Installation Complete! ')\n\n$(eval_gettext 'Continue by starting the Blizzard app, logging in and installing the Diablo III game files. ')\n\n$(eval_gettext 'The App may complain of Windows XP compatibility, just click ok, it shouldnt bother you again. ')\n\n$(eval_gettext 'Enjoy!')" 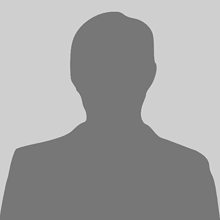 AUTHOR="SomeGuy42, RavonTUS, and the POL Community"
POL_SetupWindow_message "$(eval_gettext 'NOTICE: This will install the Blizzard application first and configure the settings for Diablo 3.')" POL_SetupWindow_message "$(eval_gettext 'Blizzard application Installation Complete! ')\n\n$(eval_gettext 'Continue by starting the Blizzard app, logging in and installing the Diablo III game files. ')\n\n$(eval_gettext 'The App may complain of Windows XP compatibility, just click ok, it shouldnt bother you again. ')\n\n$(eval_gettext 'Enjoy!')" I often have troubles with the "Try this update" button. To then use these scripts, open the New source code and copy the contents to an empty file on your computer. Make it executable, open POL -> Tools -> Run a local script. Point it to your file and happy installing! sorry this one had a typo, use the new commit above. +AUTHOR="RavonTUS, SomeGuy42 and the POL Community"
-POL_SetupWindow_presentation "$TITLE" "$EDITOR" "$EDITOR_URL" "" "$PREFIX"
+POL_SetupWindow_presentation "$TITLE" "$EDITOR" "$EDITOR_URL" "$AUTHOR" "$PREFIX"
-        POL_SetupWindow_browse "$(eval_gettext 'Please select the setup file downloaded on $EDITOR website')" "$TITLE"
-        POL_SetupWindow_check_cdrom "Diablo III Setup.exe"
+POL_SetupWindow_message "$(eval_gettext 'NOTICE: This will install the Blizzard application first and configure the settings for Diablo 3. ')\n\n$(eval_gettext 'The Blizzard app install may take longer than expected to continue to the next window, but it works in most cases. For example if it appears not to continue at the Installation Location window, wait a couple minutes and try clicking the Continue button again.')" +POL_Debug_Message "Downloading Install File -------------"
+POL_Debug_Message "Creating Wine Install ------------------------"
+POL_Debug_Message "Setting Wine Variables -----------------------"
+# Updated Overrides, many of wine's dlls are up to spec now and diablo has even removed some of their own. +POL_Debug_Message "Running Install File -------------------------"
-POL_Shortcut "Diablo III Launcher.exe"  "$TITLE"
-POL_SetupWindow_message "$(eval_gettext '$TITLE has been installed.\n\nA special thank to Erich Hoover for his wine patch (AcceptEx Fix)')\n\n$(eval_gettext 'If you have Error 3007 on connecting, open a terminal and type:\necho 0|sudo tee /proc/sys/kernel/yama/ptrace_scope')"
+POL_Shortcut "Battle.net Launcher.exe"  "$TITLE" "" "" "Game"
+POL_SetupWindow_message "$(eval_gettext 'Blizzard application Installation Complete')\n\n$(eval_gettext 'IMPORTANT: Login to the Blizzard app by using the email and password entries near the bottom of the login window, not the nice looking ones near the top. You may also want to check the box for Keep Me Always Loged In. 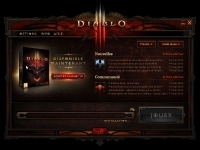 Then login to Blizzard and install the Diablo III game files.')" Wow, that worked great. I spent all week trying to get it running in a nice clean script. (I think I was spending too much time trying to get newer video drivers to work in my personal computer.) Anyway, tested this on my Ubuntu 16.04 system and it worked. Thanks for sharing. This worked great after hours of trying other methods or direct installation through wine. Thank you! Don't work for me. Instead of it my pc is freezes completely while i'm waiting for the launcher to download the game (Can't even swicth to tty1!). I don't have any clue, what the problem could be, the PlayOnLinux-Log for the virtual drive don't show any fatal error. Has anyone an idea, where i can look for fatal system errors? There's a bug that the new necro pack brings up and you can't see the Play button in the Blizzard App. The easiest way to fix it is to set the os to winxp. An updated installer script will follow shortly. It took me a while to get this one going - Battle.Net v1.8.0.860 and Diablo III v2.50 (Season 10), because I crashed my OS. In the end I learned that it is very important to make sure the video drivers are configured correctly in order for any of this to work. I tried Wine v2.5, but it keep failing with "dbhelper" error, so I went back to v2.4-staging. I was able to get it to run the full 64-bit client, but it is very slow and laggy. Please switch to 32-bit on the Battle.net screen. NOTE: I needed to upgrade my linux kernel in order to better suppot my NVidia GTX960 video card. If you need help with that let me. Also remote the # from #POL_Install_physx to install PhysX for NVidia cards. +POL_SetupWindow_message "$(eval_gettext 'NOTICE: This will install the Battle.net application first and configure the settings for Diablo 3. ')\n\n$(eval_gettext 'The Battle.net install may take longer than expected to complete, but it usually works. For example if it appears not to continue at the Installation Location window, wait a couple minutes and try clicking the Continue button again.')" +POL_Wine_OverrideDLL "native,builtin" "msvcp120" "msvcp140" "msvcr120"
+POL_SetupWindow_message "$(eval_gettext 'Battle.net Installation Complete')\n\n$(eval_gettext 'IMPORTANT: Please start the application and disable -Use browser hardware acceleration- under Settings (gear icon upper right) ->Advanced and restart the app. THEN login to Battle.net and download/locate the $TITLE game files. ')\n\n$(eval_gettext 'TIP: In the Battle.net application you may need to move the mouse into the content of the drop menus for them to show.')" +POL_SetupWindow_message "$(eval_gettext 'After Diablo III Installation Complete')\n\n$(eval_gettext 'BETA: The 64-bit may or may not work with yet. (I currently get Unable to initialize D3D). If it fails, switch to the 32-bit client. ')\n\n$(eval_gettext 'IMPORTANT: Please change to the 32-bit client by starting Battle.net. Click the Options (gear icon below logo). You may need to click and move the mouse down, in order for the menu to appear. Click Game Settings, then put a check mark in the Launch 32-bit client (instead of 64-bit). Then click Done.')" +POL_SetupWindow_message "$(eval_gettext 'Improve performance after the install, Go to Configure, Select that version under Wine Version, Right click on Diablo II for Configure Wine, Click on Staging Tab, Check Enable_CSMT for better graphic performance, then OK')"
POL_SetupWindow_message "$(eval_gettext 'NOTICE: This will install the Battle.net application first and configure the settings for Diablo 3. ')\n\n$(eval_gettext 'The Battle.net install may take longer than expected to complete, but it usually works. For example if it appears not to continue at the Installation Location window, wait a couple minutes and try clicking the Continue button again.')" POL_Wine_OverrideDLL "native,builtin" "msvcp120" "msvcp140" "msvcr120"
POL_SetupWindow_message "$(eval_gettext 'Battle.net Installation Complete')\n\n$(eval_gettext 'IMPORTANT: Please start the application and disable -Use browser hardware acceleration- under Settings (gear icon upper right) ->Advanced and restart the app. THEN login to Battle.net and download/locate the $TITLE game files. ')\n\n$(eval_gettext 'TIP: In the Battle.net application you may need to move the mouse into the content of the drop menus for them to show.')" POL_SetupWindow_message "$(eval_gettext 'After Diablo III Installation Complete')\n\n$(eval_gettext 'BETA: The 64-bit may or may not work with yet. (I currently get Unable to initialize D3D). If it fails, switch to the 32-bit client. ')\n\n$(eval_gettext 'IMPORTANT: Please change to the 32-bit client by starting Battle.net. Click the Options (gear icon below logo). You may need to click and move the mouse down, in order for the menu to appear. Click Game Settings, then put a check mark in the Launch 32-bit client (instead of 64-bit). Then click Done.')" POL_SetupWindow_message "$(eval_gettext 'Improve performance after the install, Go to Configure, Select that version under Wine Version, Right click on Diablo II for Configure Wine, Click on Staging Tab, Check Enable_CSMT for better graphic performance, then OK')"
Sorry for so many repeats, that was kinda weird..
Once a D3 install fails I logged into POL and hit configure, then went to the D3 drive. I can now launch D3 from the desktop. Please keep in mind this is all done with the patch in between seasons 9 and 10. ver 2.5.0. Just to piggy back on this, I didn't have HOTS installed, but I went through it's launcher, installed bnet, and then installed diablo instead of HoTS. I then closed out of it, went into "Heroes of the storm" -> "configure" -> "wine version" and selected 2.4. From there I also continued into "wine" -> "configure wine" -> "libraries" and added msvcp140 as native, builtin. Accidentally hit enter too early and cant edit.. but those changes all allowed me to play diablo 3 without hassle. I don't know what the FPS usually looked like but I was getting ~45-60 while playing, which wasn't too bad. Also note, before doing the above changes I wasn't able to log into bnet at all. I can't get the above to work on Ubuntu 16.04, weird, neither can I get it to work on my friend's Xubuntu 16.04. I get an error message involving the battle.net helper when it is time to log in. After updating Diablo III to Patch 2.5.0 Diablo III gives error code 7 when trying to login. I can't get the battle.net app to login either. does it work now? It seems I got the same issue, can not login to bnet or d3... login screen with bnet states cookies disabled. 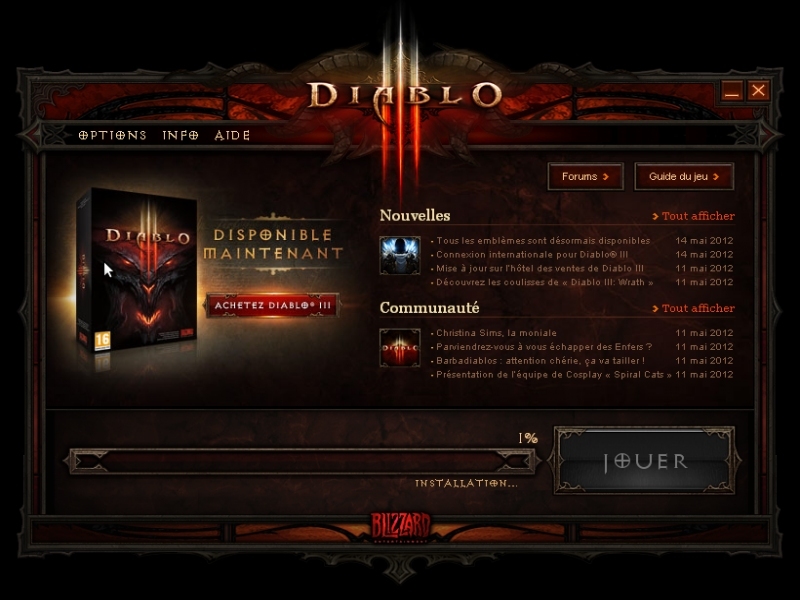 login in diablo 3 programm states error code 7. login to battlenet website no issue, account active. With the release of Wine 2.4 and full support for Diablo 3 (according to wine's patch notes), I will try to update this script to simply use the latest version of Wine to see if I can get the 64-bit client running. If it works, I'll submit an improvement. 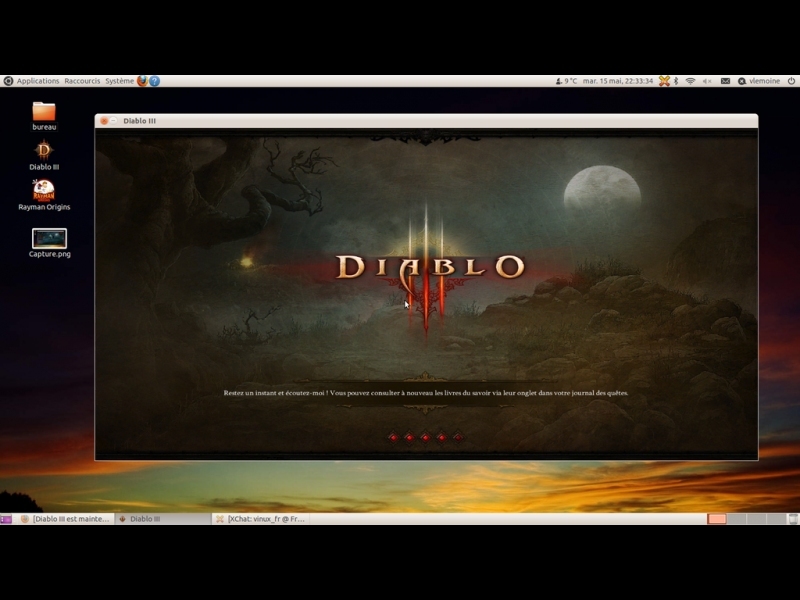 Oh, I feel like I am so close to getting the new Diablo patch 2.4.3 64-bit client to work. Battle.net will now install as a 64-bit application. Diablo, however, starts the 64-bit client and give me the error "Diablo III was unable to initialize D3D." The good news, is I can switch the the 32-bit with-in the Battle.net menu and it will work just fine. It is probably best, to use the previous install for consistency, because it is setup for just 32-bit. But if you want to play around and give the 64-bit a try, here you go. +POL_Wine_OverrideDLL "native,builtin" "msvcp140" "msvcp100" "msvcr90"
POL_Wine_OverrideDLL "native,builtin" "msvcp140" "msvcp100" "msvcr90"
Bonjour tous le monde, j'essaye depuis quelques jours de me débrouillé seul pour résoudre ce problème mais en vain. Lorsque je click sur le lien " essayer ce patch " un fenêtre s'ouvre pour m'avertir que le script n'est pas validé etc .. Cette fenêtre est trop petite et ne me permet pas de cliquer sur " suivant " ou " annuler " ces boutons n'existe pas.. j'ai aussi essayé au clavier mais rien de mieux. Je n'est pas trouver de sections relatifs a l'usage du site en tous cas à ces boutons " installer " ou "essayer " . Si quelqu'un a une idée. As I previously mentioned, the D3 64-bit client uses DX11 and there is no real DX11 support in wine. All the dev forums say this will most likely never happen as dx11 requires direct access to the hardware, which is in itself not how wine works. I too had the battle.net 64bit client working, but don't think it helps anything to then only use the 32-bit game client. I mostly launch d3 directly anyway, avoiding any overhead of running battle.net altogether. @fixintox, click "New source code" and copy code. Save as a file on your computer. Next in PlayOnLinux clidk "Tools", then "run local script". Well, I'm glad to be somewhat wrong... Got D3 running in 64-bit mode (2.1 staging) but performance of dx11 is unplayable for me. But it works! I had to reinstall Diablo III recently and found by adding these "Dependencies" it installs more consistantly. Keep in mind, this is for the 32-bit version of DIII client - Patch 2.4.3. Select that version under "Wine Version"
Right click on Diablo II for "Configure Wine"
+POL_Wine_OverrideDLL "native,builtin" "api-ms-win-crt-runtime-l1-1-0" "ucrtbase" "api-ms-win-crt-stdio-l1-1-0"
+POL_SetupWindow_message "$(eval_gettext 'Battle.net Installation Complete')\n\n$(eval_gettext 'IMPORTANT: Please start the application and disable -Use browser hardware acceleration- under Settings(gear icon upper right)->Advanced and restart the app. THEN login to Battle.net and download/locate the $TITLE game files. ')\n\n$(eval_gettext 'TIP: In the Battle.net application you may need to move the mouse into the content of the drop menus for them to show.')" POL_Wine_OverrideDLL "native,builtin" "api-ms-win-crt-runtime-l1-1-0" "ucrtbase" "api-ms-win-crt-stdio-l1-1-0"
POL_SetupWindow_message "$(eval_gettext 'Battle.net Installation Complete')\n\n$(eval_gettext 'IMPORTANT: Please start the application and disable -Use browser hardware acceleration- under Settings(gear icon upper right)->Advanced and restart the app. THEN login to Battle.net and download/locate the $TITLE game files. ')\n\n$(eval_gettext 'TIP: In the Battle.net application you may need to move the mouse into the content of the drop menus for them to show.')" I tried also to install wininet (due to errors), some time ago and was failing even then. who knows when that'll be straightened out. tested on 2.0-rc3-staging and working great, patch finally rolled out! I've also tested the 64bit version, but there will most likely never be enough dx11 support in wine to make it possible. It does run (with 32-bit client option turned on in Battle.net settings) but I see no reason to bother with a 64-bit wine when it can only run the 32-bit game anyway. This fails for me on a fresh PlayOnLinux install, get a 404 from blizzard and crashes the installer/any attempts to run it. +AUTHOR="SomeGuy42 and the POL Community"
AUTHOR="SomeGuy42 and the POL Community"
The DLL overrides are apparently no longer needed with wine 1.9.23 to run D3, but I've so far experienced better overall performance with them. Do not work anymore. The install fails on selecting the program folder, I can't click on 'continue' button. P.S. the installation do not finish. PlayOnLinux create the virtual unity but do not finish Battle.net installation. I can click on "continue" button but nothing happens. I've had this problem for quite some time. Normally you can just try to install again and it works but a new update to Battle.net has made things a bit more difficult. You can install it by following the outlined instructions in my reply to the post below, it's worked for me and others. now have Battle.net launcher working and launching Diablo III !!!!!!!! Still having a problem with the (re)installation, as it is. I'm unsure of the process necessary to set up Wine before running the installation (if, in fact, that is what is necessary to get it installed). I would be eternally (well, for as long as I can comfortably hold out) grateful if someone could walk me through the step necessary to get this game running on my laptop, once again. Eternally. Almost. steps. I meant, steps. sorry. that was a typo. mine always fails during the install around the time you choose a folder for the install. In play on linux window click on "Configure"
! !This time click on install a program and isn't on the list. Just want to confirm that I tried this on a fresh install and I got Diablo III working. Haven't tested it extensively yet, but I can walk around Tristam and kick beasties. This was on Ubuntu 16.04 btw. Worked for me, too! Thanks a lot! Confirmed for 16.10. It's installing! I'm yet to see the gameplay though. Thanks ! It's work in Fedora 24. Playing now and it works when it doesn't work in Windows, has the hanging jitter in Desolate Sands in Windows. But works fine with POL. Battle.net requires the Windows Secondary Logon service to be enabled. I have Wine configured to use Windows XP when that happens. So I switch to Windows 7 and I get a blank screen that kicks me out to the login when I press Enter. So I switched back to Windows XP and it started working correctly then. Thanks for the tip, for whatever reason it defaulted to Win XP for me and just left it, been working great. Make sure to change the username for your user and the DiabloII for the correct driver installed. Made an account to confirm, but SomeGuy42 method plus geloramo method above has the installer running. I'm hopefull it will work. battle.net installer now cannot complete installation. Like previous message the installer freezes needs to be re-run then it completes. Once complete battle.net.exe promptly crashes. Have reinstalled PoL and the installer a few times. Any ideas? Was working fine yesterday. I'm having the same issue. I completed the game (again :D) two nights ago. Yesterday was the first time it didn't load. I didn't think much of it, as I had things I should've been doing anyway (what- I'm the only one who does that. Right. ), so I tried running it again, this evening. Same thing happened. I uninstalled it and attempted to reinstall a fresh download of the client. It crashes somewhere around clicking continue at the "Install Location" page. I, too have tried reinstalling PoL. Same here, happened right after a new Battle.net update. Has anyone had any luck installing, lately? Kubuntu 16.04, nvidia 361.42. Works even better than before, thanks for hard work guys! Battle.net installer froze once at beginning of install, cancelled it all out and restarted the install process, no problems afterward. Work well with Ubuntu 16.04, GTX 660 (driver 361.42) ! Seems to have stoped working with the recent patch 2.4. Keeps Freezing, tested on two PCs. Il fonctionne très bien même depuis le simple client Battle.net ! D'ailleurs, pourquoi il n'y a pas d'installateur de ce simple client ? 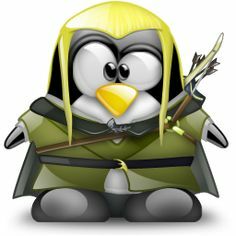 I am running Linux Mint 17 Qiana with play on linux installed and am trying to run Diablo 3. I have 2 issues when trying to run it the first being the standard "White Screen" issue, I have tried using LIBGL_ALWAYS_SOFTWARE=1 trick and it causes the Blizzard launcher to crash out. The other issue I am trying to resolve which is the worse of the 2 issues is that when I try to run the game through BAttle.net launcher it tells me I need to update my video drivers, there are none available, NVIDIA GeForce 640M with nvidia 331 drivers which came with Mint. After launching the game I get the Blizard pop-up that says I need to update my drivers, I tell it to proceed anyway and then I get a momentary black screen running then it crashes with a Linux dialog telling me that I ned to update my video drivers. The game ran fine up to Thursday evening and then all of a sudden Friday evening I started gettign this issue. I have all available upates according to the manager and Kernel 3.13.0-44. In the future, please post just in one spot; here or the forums. Not both. Works fine with Ubuntu 14.10. Need CompizConfig to be installed, and a little "trick" for going out of the "cropped window mode". Change "DisplayModeWindowMode" from "0" to "1" in your "D3Prefs.txt" files, and then, inside the game, go back to full screen. "This application failed to start because it could not find or load the Qt platform plugin "windows". "Reinstalling the application may fix this problem". So I removed all of my .wine and .PlayOnLinux directories, and everything out of my .config directory, started to install diablo 3 again, and got the same dialog box again. I have the same problem. Did you find a fix for this? If it helps you: I found out my problem was my notebook configuration. I have Intel/Nvidia hybrid graphics; when I start wine with optirun the graphic glitches are gone! 1) attempting to exit the program directly from a running game results in a freeze. Quitting the game, then exiting from the menu works fine. 2) I can't figure out how to set up the resolution to use both of my monitors. Granted, it would probably look like poo anyway since my character would live in the bezel gap, but I wanted to try it, and couldn't make it happen. I WAS able to tweak D3Prefs.txt to take up one full monitor beautifully. 2.5) for 2.1 update (only one that has hit since I installed) I had to re-start the battle.net launcher once before it showed me the progress bar at the bottom. 3) Occassional rubberbanding. This may be my internet connection? We're having trouble launching Battle.net Update Agent. Please wait one minute and try again. If it happens again, try restarting your computer or reinstalling Battle.net. POL_Shortcut "Diablo III Launcher.exe"  "$TITLE"
POL_SetupWindow_browse "$(eval_gettext 'Please select the setup file downloaded on $EDITOR website')" "$TITLE"
POL_SetupWindow_message "$(eval_gettext '$TITLE has been installed.\n\nA special thank to Erich Hoover for his wine patch (AcceptEx Fix)')\n\n$(eval_gettext 'If you have Error 3007 on connecting, open a terminal and type:\necho 0|sudo tee /proc/sys/kernel/yama/ptrace_scope')"
All I see on the net are screenshots of the base game. Anyone got the RoS working? Half of the UI is non-responsive. Hmk got it working - though there's still need of the setarch i386 -3 command. My Diablo III instalation just hangs at the begining, even using several different scripts. Ubuntu 14.04 64 bits. Nvidia proprietary driver. POL 4.2.6. Any hint? Installed Diablo 3 with this script and it runs well until I try to start a game. A error with code 30004 appears which means that the list of characters could not be loaded and also in some points the programs hangs up with the sound still running . Oddly, the Battle.net client that is installed allows to install Starcraft II and runs better than the installation I did with the other script. Do you have any idea of what's going on? For me, the stats of characters appears a error with code 30005. Quit the game = freeze.